Tiger Woods is an American professional golfer who is among the most successful players of all time. He is one of the most popular athletes of the 21st century and he has been one of the highest paid athletes in the world. Tiger Woods is a golfer who set an amazing career in 1997 when he became the youngest man and the first African American to defeat the U.S. Masters. Tiger Woods won the 13 majors and he was named as the PGA player of the year 10 times over the next 12 years. He influenced the World golf and reached the No.1 position in the world rankings. He is one of the few players to have achieved the Grand Slam of Golf. Woods was born in a humble middle class family on December 30, 1975 at California. The real name of Tiger Woods is Eldrick Tont Woods; he was nicknamed Tiger in honor of his father’s friend. 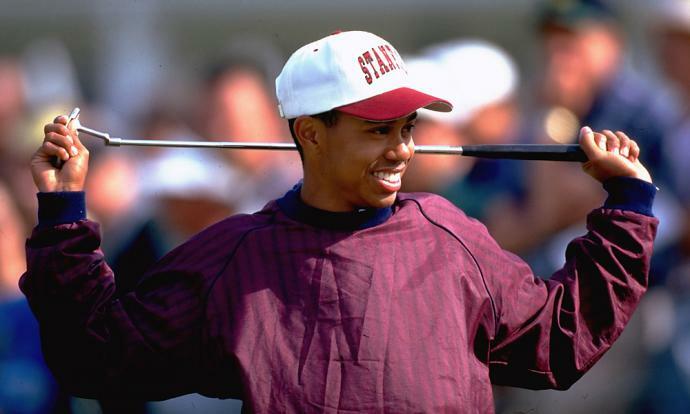 Woods was introduced to golf by his father when he was a toddler at the age of two. He excelled in golf and continued to win the Junior World Golf Championship six times. He completed his schooling at Western High School in 1994. When he was 15 years old, he became a U.S. Junior Amateur champion and would win the championship three times. In 1994, he enrolled at Standford University under a golfing scholarship and he left after two years to chase golfing as his career. In 2004, Woods married Elin Nordegren, who was a former Swedish model and they had two children. Due to the extramarital affairs there started a personal issue in their life in 2009. He denied it in the beginning but he accepted his transgressions. This led these couple to end in divorce in 2010. He wrote a top-selling golf instruction book, ‘How I Play Golf’ in 2001, which had the huge print run of any other golf books for its first edition. In 2017, he also published a memoir, the 1997 Masters: My Story which is co-authored by Lorne Rubenstein which specifically focuses in his first Masters’ wins. Woods won the PGA championship in 1999 and had a great start to the current year with six consecutive wins in 2000. In US open he broke or equaled nine records and it was one of his victories for the year. By winning the 2001 masters tournament, he became the first player to win all four major titles simultaneously. He also won several golfing titles in that season. The next two years were not that much great suitable for him. Although he came into the form in 2005 and won six officials PGA tour money events. In the 2006 season, Tiger Woods closed the tournament with 54 wins. This great form continued for the next couple of years. A knee surgery forced him to take a break in the latter part of 2008 but he was welcomed back to golf in 2009. Woods performed well and won the 2009 President cup without disappointing his fans. Due to some controversies in his personal life in 2009, which hold back his performance in 2010? His sponsors dropped their contracts with him that led to fell in the rankings. For the first time in his career, he was unable to win a single event. Woods continued his cheerless performance in 2011 and he fell to 7th rank in March. Due to the continuation of his personal, professional and health issues, he fell to 58th rank. Woods came back to his original form and won the Farmers Insurance Open and WGC Cadillac Championship in 2013. Woods had been enthusiastically approved as the ‘greatest closer in history’ with his 79 official PGA Tour events. He is also one of the golfers to have completed the Career Grand Slam in the row. Tiger woods’ claimed 17 Guinness World Records including golf and video games. After Usain Bolt and Michael Phelps, Woods hold the third highest number of World records as a sportsman within one discipline. In 1996, Woods and his father Earl established a foundation in the name of ‘Tiger Woods Foundation’ with the primary goal of promoting golf among the children. They have conducted junior golf clinic across the country and sponsors the Junior Golf Team and Junior World Golf Championship. The list of achievements of Tiger Woods are thus far in his career is vast and many of them are amazing. He holds the most impressive records with nobody standing in front of him. Thus, these are about the professional golf champion Tiger Woods.